Earlier today, one of our clients wanted to know how many categories is best when it comes to a blog. Since we receive this question quite regularly, I thought I’d share the answer. You’re taking the time to create great blog content. Doesn’t it make sense to use best practices so it can be found and users will have an understanding of what it’s about? One aspect of blogging that is often glossed over is a good blog structure. A clear blog structure can positively impact your SEO and user experience. In other words, your blog’s structure is critical for both its usability and findability. 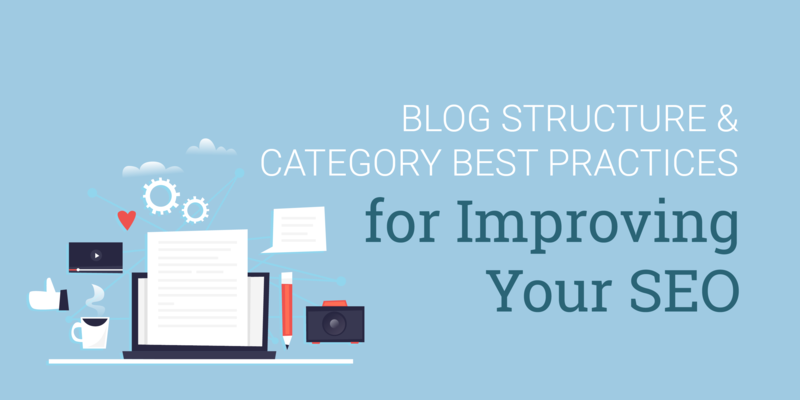 We’ll cover three best practices related to blog categories and content in this post. Follow them and you’ll likely see a boost in your SEO. 1. Don’t Go Overboard with Categories. Over the years, we’ve encountered many blogs with over twenty categories. This is too many! Too many categories create a confused, muddled user experience. It also makes it more difficult for Google to determine what’s important on your blog and how to rank it. It’s very easy to fall into the trap of creating new categories on the fly. Resist this temptation. If you have an existing blog, review your content. What are the main topics you’re writing about? Are they important to your audience? Is the category name clear to an outsider? Steer clear from internal jargon. 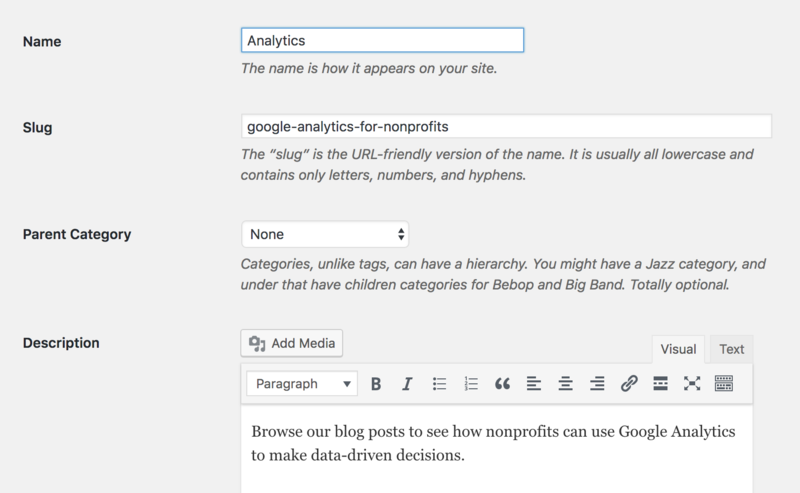 Limit your blog categories to 6 - 10. Categories are basically “buckets” for your content. Take a look at the example above It shows categories for our sister-site The Nerdy Nonprofit. The categories are descriptive and clear. Keep your categories short. Aim for 1 to 3 words in length. Your main category pages are essentially landing pages so make sure they are properly optimized. Optimizing your categories provides context for both users and search engines. If you’re using WordPress, it looks something like this. Your description should indicate what kind of information your users will find within a category. Cornerstone content is the core of your website. These are the pages or posts you want your users to find. They’re your most critical pages. Cornerstone blog posts are valuable for your users because they provide an overview of a topic. If you’re using the Yoast plugin for WordPress, there’s a spot to indicate whether the page or post is cornerstone content. See below. A solid blog structure and clear categories are crucial for SEO and will allow your audience to find you and read your great content. If you’re interested in improving your SEO, contact us today for an SEO audit.